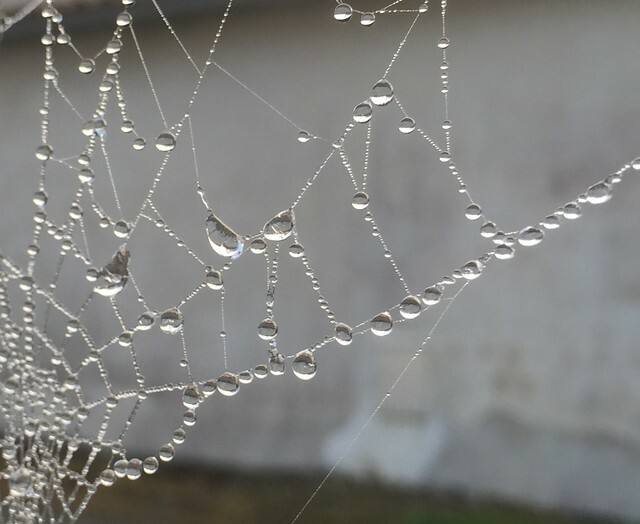 Why do I find the dew-soaked, rain-soaked spiders’ webs so appealing? First, they are just so beautiful. Second, each drop becomes a little lens, which shows the surrounding world upside down. Reminds me how everything we experience is through our personal lens, so our view of the world is always our unique, singular view. Third, because the form/concept of links and nodes describes so well the phenomena of the world. Shifting our perspective from seeing a world of objects, to seeing a never-ending web of links, hubs or nodes, connections and relationships is exciting!